October was falling fast and the Ocoee season was drawing to a near close. With the change of seasons it was time to go kayaking, and where better to do that than in a geographical location completely new to my friends and I. With this as our mission, Kevin Palmer, Jordan Sherman and I were Central America bound. It was the rainy season there and we did not want to miss out on the prospects of a good time, or on the promise of a lot of worthy whitewater. We were not fully aware of what we were about to get ourselves into, but the adventure unfolding before us would soon become one of the most epic stories of our lives thus far. A spectrum of experiences spanning from perfection to near chaos was most certainly bridged during our action packed trip and we are glad to say that Costa Rica knows how to deliver great adventures. 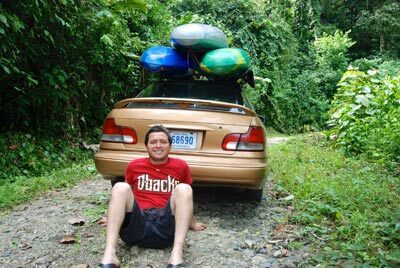 Amazing rivers, dense jungles, good times, and awesome people all come to mind when I think of our time spent living the “Pura Vida”. We had explored several options of how to get our boats down there, but it was pretty evident that flying them was not only going to be cheap, but also less of a hassle. The only noticeable downside was that kayaks are not on Spirit Airlines approved list of checked baggage. In fact, kayaks are actually on the prohibited list. This was no problem though because Spirit does however allow for surf boards. With this knowledge we devised a plan to stuff them into canvas bags and walk them to the baggage counter ourselves. The 3 canvas bags were being made at the last minute by Kevin and his girlfriend Cat. The bags were looking great but due to some last minute sewing machine malfunctions we had to rethink how they were to be finalized. The answer was to use a copious amount of fabric staples in addition to multiple roles of duct tape. Once the bags were complete, the finishing touches were then applied with a permanent marker. The bags read “Ace Surfing School”. With the boats all wrapped up I felt very hopeful, but it was our 4am flight check in that made me feel most confident. Now there was less than a hand full of hours till the official trip start and at this point sleep seemed futile. This was the moment that the party began. We were running on no sleep and if it had not been for the plentiful of caffeine pulsating through our blood stream we probably would not have made it to the airport. However it was time to leave and all systems were a go. 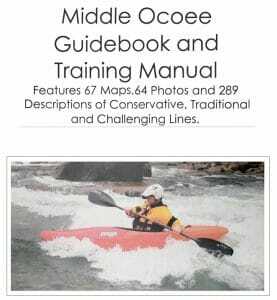 In our possession we had boats with gear, backpacks, and a copy of the 10 year old book Chasing Jaguars, A Complete Guide To Costa Rican Whitewater. As far as plans go, the only thing more vague than the idea of where all we were going to go, was the idea of how we were to get it all done. Still we were dropped at the airport, and that was the point that the trips reoccurring style of “read and run” had officially begun. We were all present and ready for a good time… “look out world” would have been a fair warning! Accompanied with our awkward to carry “Surf Boards” and gear bags we dragged ourselves in a heap to the ticket counter. As we approached we were sure to make boisterous conversation about the great waves to come, and also a group note to stay out of jellyfish. We felt as surfers we should at least act the part, but it may have really been for comic relief only. From the counter we took our “Surf Boards” to screening. The Officials quickly made note that our surfboards had Jackson Kayak all over it. We then told them a very little amount about surf skis. From there we were off to security. We boarded our first flight to Ft Lauderdale for a quick layover, and there while we waited for the final flight we were relieved to see our boats getting loaded for their final destination. In the grand scale of life as we perceive it, what had just occurred was a truly insignificant victory, but we all felt proud for what we had just done to the system. We were still Costa Rica bound, but only a lot closer. Culture shock is an accurate description of how a first timer’s entry into Costa Rica will seem. After we landed in San Jose and as if the struggle with our boats, gear, backpacks, and selves were not enough there was the added stimuli of hundreds of other people. All of whom hustling around and speaking Spanish at a rate quicker than any of us could even possibly hope to understand. The scene that unfolded outside the airport was slightly chaotic. Amongst the constant yelling of others we began the search for our craigslist found contact and driver to be. This is perhaps another great example of our “read and run” philosophy to Costa Rica adventure. The search however did not take long. It may have been the boats themselves or the three gringos carting them around, but Esteban not only found us first, but he did so very quickly. Other than his name we didn’t know too much about him yet, but through the little communication to take place so far he was proving to be quite helpful in the aid of our pursuit. 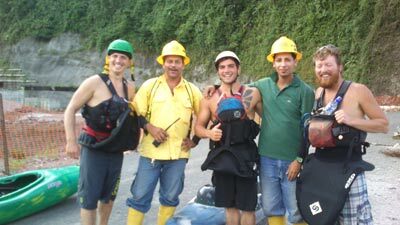 Introductions were short however, and we quickly strapped Esteban’s car down with gear and boats. The car was a small Toyota and it had just enough room for the four us. It did have racks though, and that was all that mattered to us at the time! 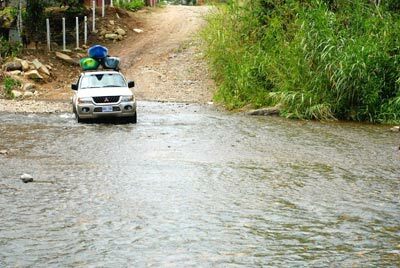 We wish we had known this then, but having a car without clearance or four wheel drive is not recommended while exploring rivers in Costa Rica. Our time spent in this car would be very short lived. After all the traveling we ended up in Turrialba at the Hotel Americano to get a good night’s rest under our belts. It was mornings first light that told us it was time to go kayaking. 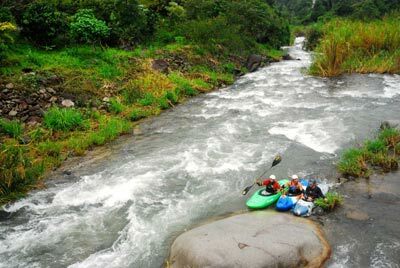 As far as kayak friendly towns in Costa go, Turrialba is a must visit. The town is centered in a giant valley that is in close proximity to many of the drainages that flow east into the Caribbean. Turrialba is a great place to get beta as well as find friends and get gear if needed. After roaming the many outfitters we were able to gather up some useful beta on one of Costa Rica’s most classic runs, the Pacuare. The most useful information we could gather was mostly about the roads and access points, and other than that we were warned of frequently higher levels this time of year. It was advised that we put on in the mornings before the afternoon rains came. 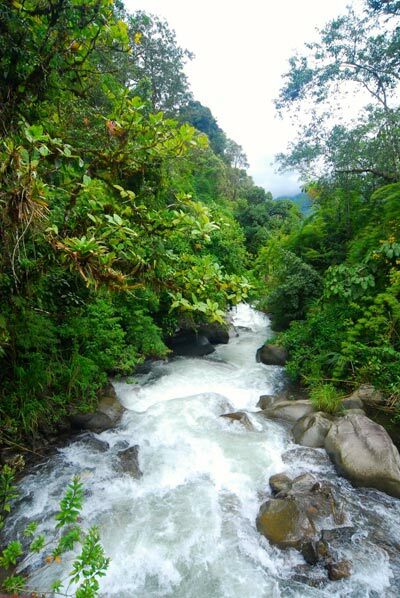 The Pacuare has many sections all varying in difficulty and it is not unheard of to do multiple sections on a single trip. The watershed of the Pacuare is only accessible by horse and foot, but all of the lower sections can be accessed by vehicle fairly easy. From the beta gathered it was decided to make day one’s mission the class III+ upper upper into the class IV+(V) upper. J ust to be certain that that we the boaters and Esteban the driver were all on the same page for meeting up later in the day, we spent the morning driving around exploring access points. This is when we learned that the car loaded down with us as well as our gear was not going to be our best pick. While scouting the take out we took the car down a long gravel road that dropped from the mountain top down into the Pacuare gorge. The car scraped bottom almost the whole way down. The muffler managed to stay attached for about half the distance, however it eventually fell off. This was okay though, because once the muffler was gone the car did sound a lot cooler. We pushed on and only worried occasionally when we noticed smoke pouring out from the breaks. We eventually made it to the bottom and were able to give the car a well needed break. We had found the takeout, but now we were not too sure that we were going to able to make it to the put in. Once the breaks cooled the journey up the mountain began. Esteban gave the car her hell while the three of us walked alongside. It was late afternoon when we made it to the put in and the car was no better off. We had managed to break the racks and upon checking out the cars underside we discovered large dents in the gas tank that probably took away a good bit of its capacity. We began to gear up as the rain began to fall. We were warned of such events, however we put on anyway and waved good bye to Esteban and all of our possessions. We really hoped that we would see him again at the take out. It felt good to be in a boat and all of us were ready to see what waited downstream. 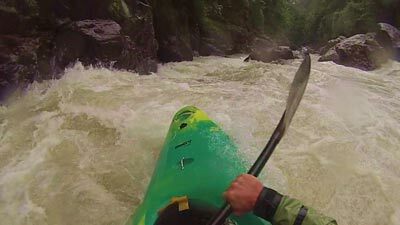 The Upper Upper Pacure was a beautiful section of river with a few boulder style rapids and a lot of long waive trains. One of the most amazing things about the section was the large amount of rope and cable foot bridges that spanned the river. For the families that live in the remote region the bridges serve as the only way in and out of their farms. Every now and then we would even see carts on cables. These help the families in getting larger items back and forth across the river. We continued down river and eventually we began our decent into the gorge of the Upper. The rain was dying down, but the water was turning from a clear to brown hue as the flow grew faster. We guessed that the river was flowing at a high medium however we later decided that high was a more accurate description. We bombed down blind and only stopped to scout a few horizon lines. From the guide books description we were expecting mostly drop pool, however when we got into the heart of the gorge what we found was very continuous whitewater with big holes and crazy boils. There was one section that took all of us by surprise. It was a long series of giant holes down the left that ended in a giant boxed in hole at the bottom. We by no means styled the rapid, but we all made it through. At the bottom hole Kevin and Jordan were flipped on the right while I managed to plug the left. Plugging the left took me and my creek boat a lot deeper than I really like… I resurfaced fighting for the out flow. After that climax the action shortly died down and we soon found ourselves with Esteban at the take out drinking some cold brews to celebrate our first run in Costa Rica. It was back to the Hotel Americano for us, and back to San Jose for Esteban so he could get a new vehicle. The next day, when Esteban returned, all of us were stoked to see the improvement in our mode of transportation. We had been upgraded to a 4×4 Mitsubishi Montero. From that moment we all knew that the fun level of the trip had just been bumped up a few notches. We loaded the car up and took off for another day of kayaking. At one point in time the Reventazon River was very popular for kayaking and it used to draw a big crowd of slalom racers and rafters. Sadly though, a dam was constructed and with its arrival one part of the river became buried under a lake while another part had its water diverted from it. That section, now referred to as the dries, may still occasionally run however that requires enough rain to make the lakes up stream spill over the dams that contain them. Just downstream of the dries is where the water diverted by the lower dam flows back into the river. Here is where we found a coffee farm that had access down to the banks, and it made for a good put in. From the farm we braved a hike through head high grass to make our way to the river. The entire time we kept our eyes open for snakes and bullet ants. All of us managed not to see any snakes, but Jordan wasn’t able to stay out of the bullet ants. We made it to the river just downstream of the powerhouse, and it was once again time to kayak. What we did not know at the time was that the dam was operating all generators; this meant that the river was going to be extra splashy. 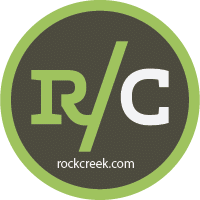 Another piece of information that we did know was that the section we were putting on had recently been closed to the public due to the construction of a large dam downstream. As soon as we hit the water we began to barrel down the river on a very large and very fast flow. At first the rapids consisted of long wave trains. Occasionally the river split into channels, and typically these channels offered fairly good sized rapids. The deeper we plunged the more we began to notice that the pools between rapids shortened and that the waves and holes were getting more numerous as well as growing in size. Before we knew it we found ourselves blindly running class IV+ and V- big water rapids. We picked our lines as best we could and charged downstream. In the sections with the taller waves it was fun to watch Kevin and Jordan bob up and down as they worked to dodge the river’s enormous holes. Our lines were mostly smooth, and there were only a handful of times where we managed to put ourselves in situations that demanded some mandatory hole boofing. It was one of these holes that served out one of the biggest creek boat stern squirts that I have ever witnessed, but luckily that was all it served out. Unfortunately, as we made progress downstream we began to encounter signs of a massive construction project. Giant trucks, bull dozers, and cranes all lined the river right bank. They were all accompanied by crews that on occasion would take time to look up and cheer us on. The rapids were becoming unclean and the banks were getting manky. It was evident that the project was taking a toll on the river bed. The river and flow began to develop an unnatural feel that only worsened as the development grew larger. Then in an instant the rapids died down and we had made it to where we could go no further. We came to a point where all flow was stopped by an unnatural wall of concrete. From there the water then vanished through two black tunnels. They certainly did not look inviting and None of us were very keen on blindly charging off into the darkness. We all opted to see if we could at least find the other side of the tunnel first. With a lot of climbing up and down banks, poorly understood conversations with workers, and having to go back and ferry to the other side we soon discovered we were getting nowhere. Eventually we were stopped by some more workers. They were very friendly though and through broken conversation we learned that the project police were on the way. We were not sure what this entailed or what to expect, but we all really hoped that Costa Rica wasn’t going to kick us out on our second full day in the country. We met the I.C.E. police and fortunately they were as friendly as the workers. Let it be known that southern charm, poor Spanish, and being crazy gringos all played a large role in the development of positive attitudes. All turned out well though and after a lot of photos, questions, and a two hour delay the police drove us to the other side and dropped us off at the river. That night when we arrived back at the hotel Americano, Patricia, the owner, wasted no time in giving us soap, towels, and shots of grain alcohol. From what we could gather the Reventazon’s water quality is not Costa Rica’s finest. The next day we opted for a much more relaxing run, the lower Pacure. 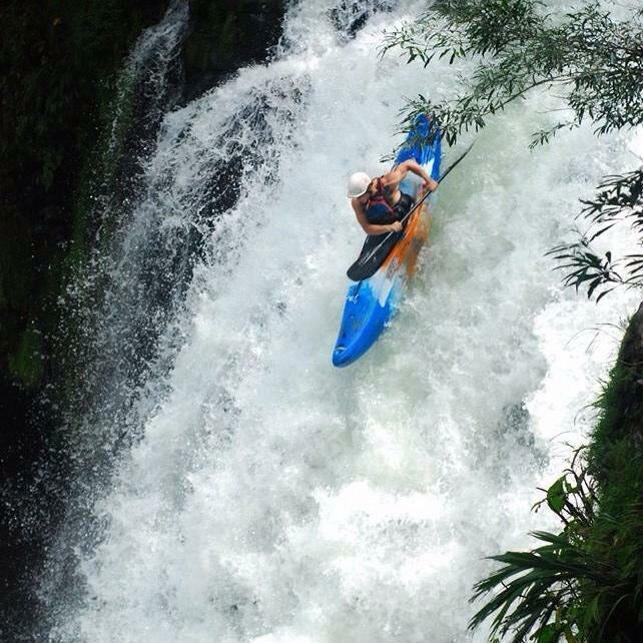 It is a must see Costa Rican classic that would be comparable to an eighteen mile Ocoee River. After making some friends at the hostel the night before, Danny and Candice, we even thought it would be great to take them down too. We rented extra gear in Turrialba and set out off to the river. We had never been there and our new friends had almost no experience in a kayak at all, but we were all ready to make the most of the day at hand. 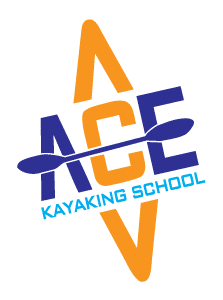 With some serious pep talks at the put in as well as the Ace Kayaking Ten minute version of what you need to know to kayak, the group was ready. The first thirty minutes were very discouraging, but before we even made it half way down the run Danny and Candice were proving to be naturals on the river. Not only was it great to experience an incredibly gorgeous new run, but toping it off with introducing some newcomers into the world of kayaking made it even better. 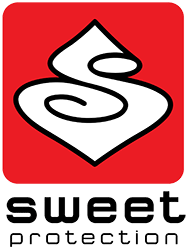 So far on the trip the Turrialba region had been our only area of focus, and there is a lot to still be seen, but it was time to change gears and see what else Costa Rica had to offer. We packed up the car and made off for the Orosi Drainage. The drive was magnificent. The winding curvy roads took us through a wide variety of landscapes and scenery. Stunning views of lush mountain sides and beautiful coffee farms were of no shortage. The drive, normally a short one, would have got us to the Orosi by mid day, but between the beauty and our habits of exploring most any side road that happened to venture up a creek, it did take us a little longer to get there. The biggest struggle with the Orosi was finding a suitable take out. We ventured many roads that got us close to the river, but time and time again we found tall vertical mud banks topped with dense jungle growth. Finally we made do with a freshly made drainage ditch down to the river. The ditch drained straight out of a pasture as well as urban sprawl. Like I said… we were making due. From the ditch we went in search of a put in. The plan was to head up into the national park that sits up in the mountains from where the Orosi flow. This is where the river’s upper sections lie. This adventure however was quickly shot down upon our attempted entry into the park. The Ranger on duty told us that we had to leave our kayaks with him before he would let us enter. It was obvious that running that section would just have to be a totally different type of mission for a different type of day. We turned around and made our way back to a bridge just outside of the park where we could access the Orosi. For the first time on the trip the water level was a little towards the low side, but in the spirit of adventure we pushed on. From the bridge we scraped our way down shallows, but fortunately, as the water channelized into the boulder gardens that characterize the Orosi, the flow grew stronger. The rapids there are just as strange as the smooth white boulders that create them. The boulders, which stand out like dinosaurs in the lush green jungle, divert the flow through many twists, turns, and drops. The run is not the most difficult, but it is advised to stay on your guard. The sieves, undercuts and places of potential pinning were too numerous to count. It was about a quarter of the way down when we came to an island that required a short portage. There was simply not enough flow to fill up the boulders on either side of the land mass, and none of us could even visualize a viable line through. Downstream of the island and near the end of the boulder gardens we came to natural hot springs that boil up in pools on the river left side. Below the hot springs the river changes characteristics again. With the confluence of Rio Macho the river more than doubled in flow and transformed into continuous class III boogie water. It was not long before we made it to our previously found drainage ditch, which turned out to be nastier than I imagined, and from there we were off to explore the Rio Macho. We did not know much about it other than a) it had water in it, and b) it looked steep. That’s all the info it took to raise our interests. 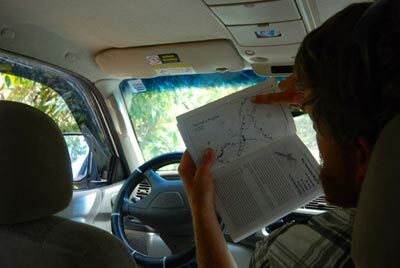 It did not take us long to find a road up the creek, and judging from the elevation gain of the road the creek was exactly what we were looking for when we came to Costa Rica. As we ventured up we were only able to catch a glimpse of the rushing water below as the jungle growth only allowed us short glimpses through its windows. Then at a farm gate, the river and the road came back together. This location was our put in. From the rocky bank we slid into our boats and into the water. What we were about to learn is that the Rio Macho, which is about a two mile run, drops an average gradient of 450 to 500ft per a mile. It was combat boating in its purest form from start to finish. With only one drop in the range of 10 to 15ft, and all the others ranging from one to seven, the river continuously plummets down into the Orosi. None of us can even remember a single eddy larger than two boats. It is as if it came right out of the Smoky Mountains of home. 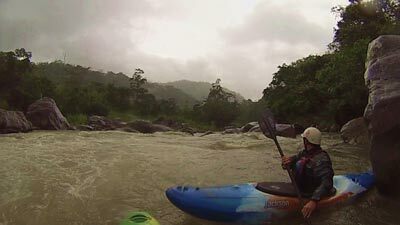 Jordan, Kevin, and I had just stumbled into Costa Rica’s west prong, and we all agree that it is one of the best runs the country has to offer. We were all ecstatic at the end and even Esteban could not help but to mention how our smiles lingered. We were in Costa for kayaking and we had just found an epic run, there was no reason for us not to be happy. Then as night fell we pushed on to the pacific coast where we all quietly slipped off to sleep to the music of west coast waves. What a great day! The Following days brought forth lots of rain, and with the rain our kayaking slowed down tremendously. 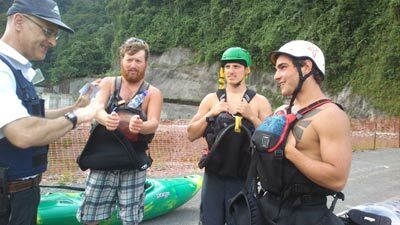 Many of the rivers were swelling their banks, but this brought forth the opportunity to rest and wash as well as to explore the area and meet local paddlers. During this down time we were lucky enough to make friends with Felipe Cervilla. Felipe, a native to Costa Rica and Owner/Operator of Rio Pro in Quepos, is a lover of all things fluid. Be it in a kayak or on a surf board Felipe can shred it up with the best of them. The rain kept falling and the rivers stayed high. Our boating was limited to lower sections of the pacific side rivers, but with Felipe we were able to get out and explore the Naranjo. The river’s lower section is made up of phenomenal waves and small retentive holes. We all vocalized our desire to be sitting in play boats. The potential for freestyle kayaking looked amazing. As we neared the take out the river then offered us another glimpse into Costa Rican life. Before the Naranjo reaches Pacific its water lays sight and its banks lay hold to extensive Palm tree plantations. Palm oil, along with coffee, is one of Costa Rica’s major exports, and as we passed through the plantation’s uncountable rows of palm trees it was easy to understand why.